The Story: As the morning sun shines through a crystal hanging in Jonathan’s bedroom window it is transformed into little bursts of rainbow colors that dance about the room. As they pass across his eyelids he awakens to a day of extraordinary adventures beginning with his encounter with the Glympsle, an impish little character that one can only see out of a corner of an eye. 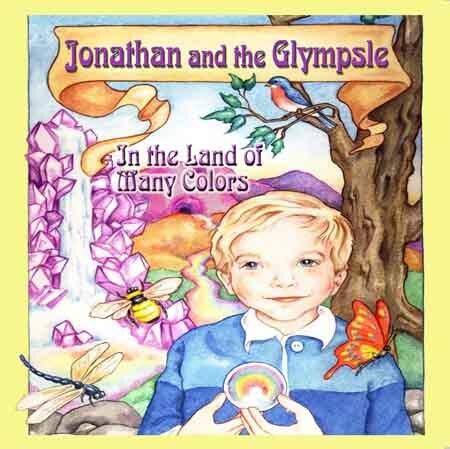 Jonathan is then is then introduced to a magical side of the world of nature when the Glympsle helps Jonathan to use his imagination to transform himself into a tree, a red ant and a vast array of other colorful creatures. As he sets out on this remarkable journey he meets a cast of unusual characters including a dizzy and emotional butterfly, a pompous bee, a sorrowful caterpillar, a happy go lucky bluebird, a dreamy dragonfly, and of course there’s the wise old owl to help shed light on the lessons to be learned from this fanciful tale. Together with the delightful musical score and unforgettable songs, this story is sure to tug at your heartstrings.